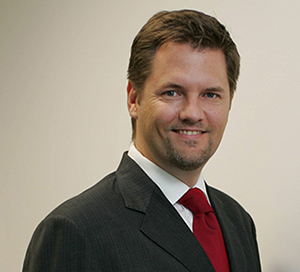 WestJet has appointed Arved von zur Muehlen to the position of Chief Commercial Officer. He will join the airline on 2JAN, 2019, subject to Canadian Immigration approval. Reporting to President and CEO, Ed Sims, the executive will lead WestJet's commercial team with responsibility for all aspects of the commercial function including sales, marketing, product, network planning, revenue management, corporate development, airline partnerships and WestJet Vacations. He brings more than 20 years of commercial aviation experience to WestJet and will be joining the airline from Malaysia Airlines, where he served as Chief Commercial Officer responsible for the sales, revenue management, network planning, marketing and branding, product development, digital and customer experience. Prior to his role at MAS, he served as the Senior Vice-President of Commercial Network Operations at Qatar Airlines and the VP of Sales and Marketing Intercontinental Markets at Swiss International Airlines. He also spent over 15 years with Lufthansa German Airlines where he took on various leadership roles. Von zur Muehlen is fluent in both German and English and will be relocating to Calgary with his wife and three children.